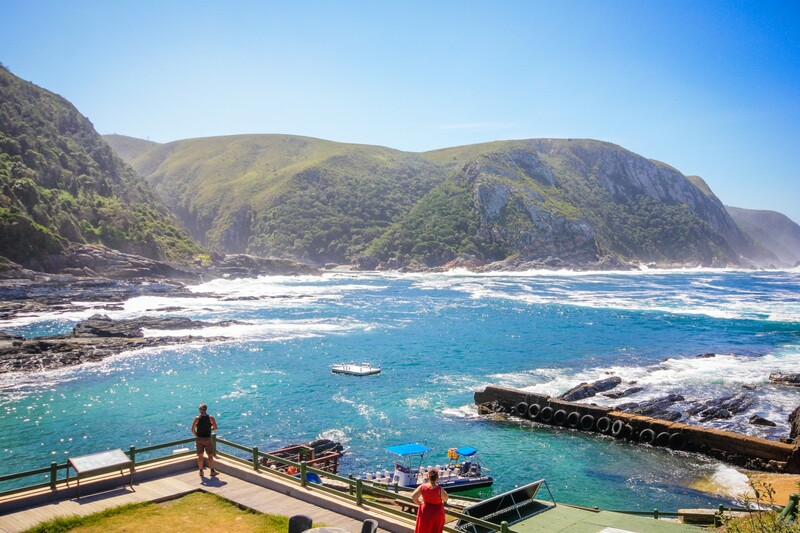 Storms River in the Tsitsikamma is a tiny scattered hamlet with shady lanes situated outside the Tsitsikamma National Park approximately 170 km to the West of Port Elizabeth. 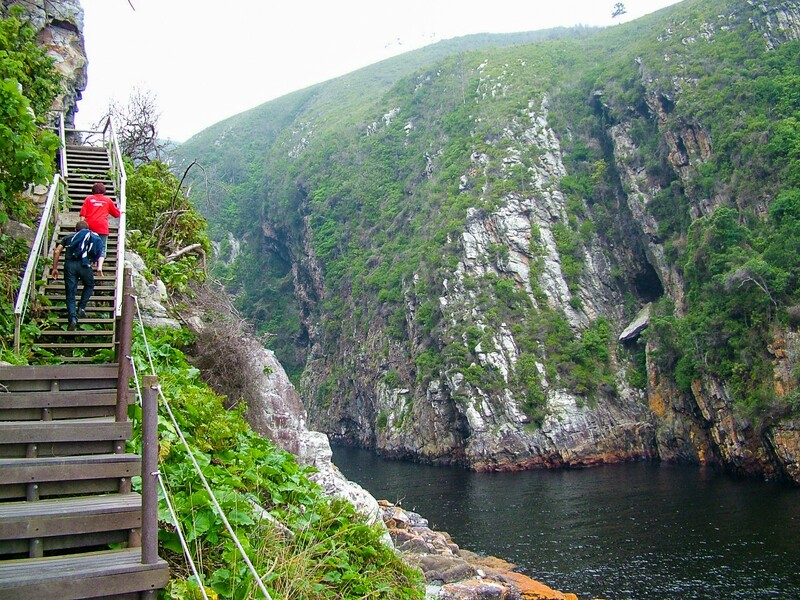 Head for the Storms River Mouth entrance to the Garden Route (Tsitsikamma, Knysna, Wilderness) National Park, a well known coastal reserve with its indigenous forests (containing enormous trees including a 36m tall Yellowwood), dramatic coastline, and the Otter Trail. 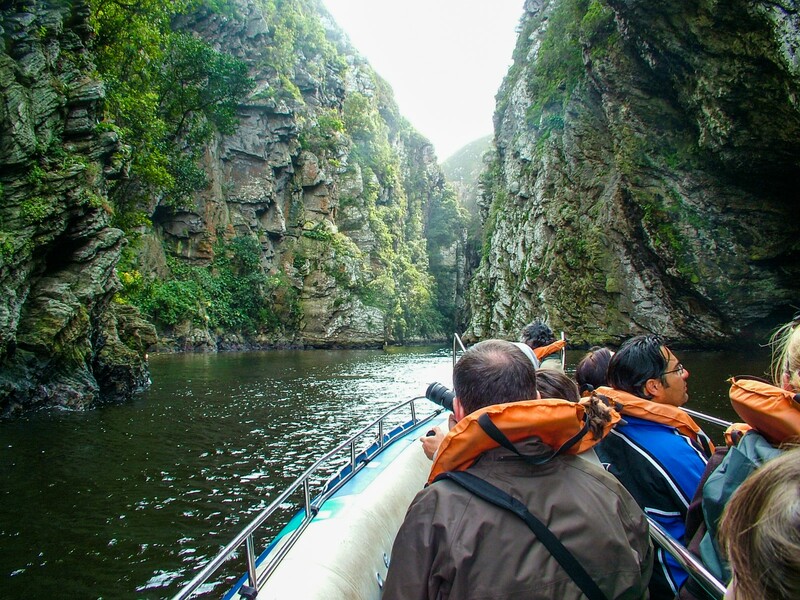 The Garden Route National Park covers an 80 kilometres (50 miles) long stretch of coastline. 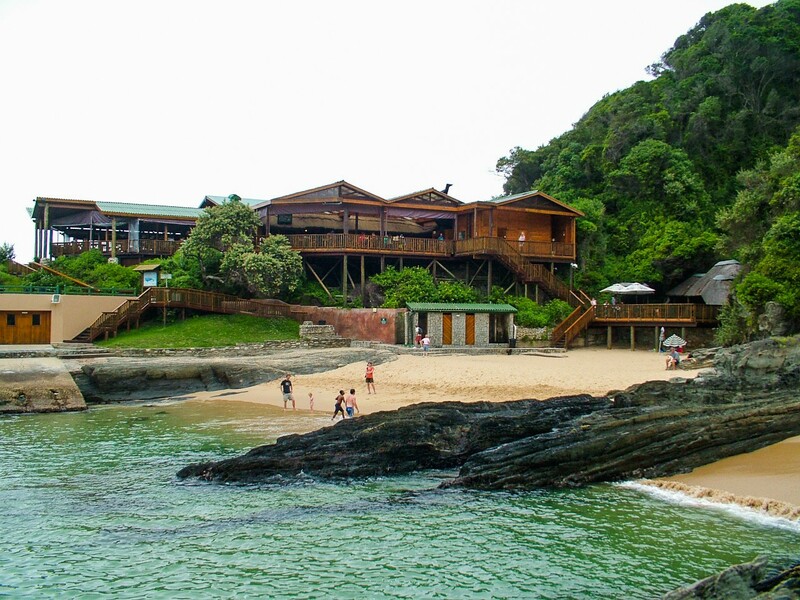 Nature's Valley is at the western end of the park, and the main accommodation is at Storms River Mouth. Near the park is the Bloukrans Bridge, the world's highest bungee jump at 216 metres (709 ft), one with a series of suspension bridges.